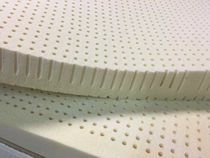 This 2" Dunlop all natural latex mattress topper is available in 3 firmness choices - Soft #19-22 ILD Medium #28-33 and Firm #34-38. It is designed to offer additional comfort to your existing bed plus provide a natural hypo-allergenic barrier. 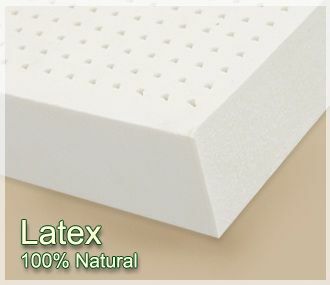 This product is Oeko-Tex 100 certified to be free of harmful chemicals and made by Latex Green in Sri Lanka. This product is shipped in the raw, rolled and compressed via UPS to your door. 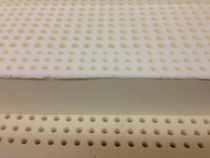 Slight flaking and small tears are considered normal.